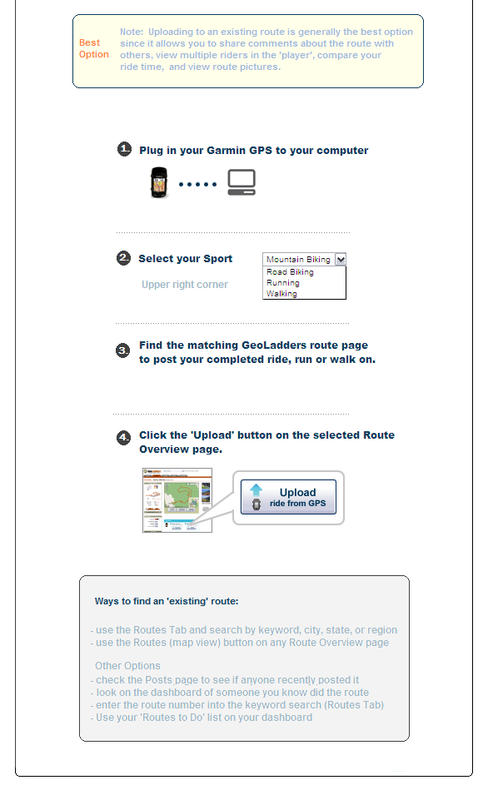 Enter / create a 'new' route name for the gpx file you are uploading. This will be the route name that appears in GeoLadders. 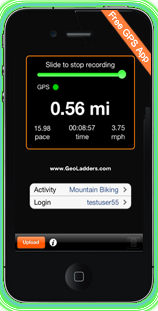 Select the GPX data file (.gpx file) you want to upload to GeoLadders. add it to my dashboard, and prompt me for optional ride comments. Note: Moving Time is not calculated, only Total Time.